Color: Norway rats are brown with scattered black hairs and have a gray to yellow-white underside. 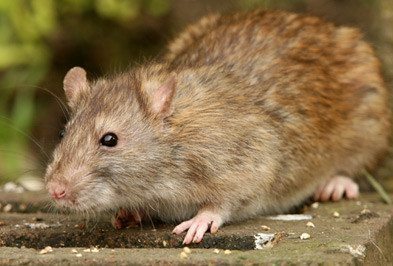 Characteristics: The Norway rat is a type of rodent in Texas that has a heavy body with coarse and shaggy fur that is dense with short hairs, a blunt muzzle and small eyes and ears. Size: The head and body length of an adult Norway rat is about 7 to 9 inches long and the tail length is 6 to 8 inches in length. They range from 7 ounces to 20 ounces in weight. Adult Norway rats are brown in color with some scattered black hairs, they have a grayish-white underbelly; their body is long and heavily built. Adults can grow to between 10-12 inches in length, this includes their tail. The tail on the Norway rat is shorter than their body; both the tail and ears are hairless and covered in scales. How Can I Tell The Difference Between Norway Rats And Roof Rats? Norway rats and roof rats can be differentiated by both physical behavioral characteristics. Norway rats are not skilled climbers and therefore will be found inhabiting mostly basement areas and the first floors of buildings. Roof rats can climb very well and will be found in attics and in the upper floors of homes and other buildings. Norway rats have an overall “heavier” build than roof rats. The tail of the roof rat is longer than its body unlike the Norway rat whose tail is shorter than their body; also the roof rat has darker black fur compared to the Norway rats brown fur. Where Do Norway Rats Nest? In nature Norway rats can be founding living in underground burrows that are close to water sources. Their burrows can be found along building foundations, beneath piles of garbage and woodpiles, around gardens, riverbanks, and in fields. If a Norway rat decides to nest inside of a home or other building they will be found in basement areas, behind walls, or in crawl spaces. Why Do I Have A Norway Rat Problem? Also known as the brown rat, house rat, wharf rat, or sewer rat, this rodent is has a tendency to burrow in the soil along railroad embankments, river banks, garbage piles and under concrete. They are explorers and may enter homes and commercial facilities in search of food or shelter. Openings larger than 1/2 an inch act as entry points for Norway rats. What Kind Of Threat Do Norway Rats Pose? 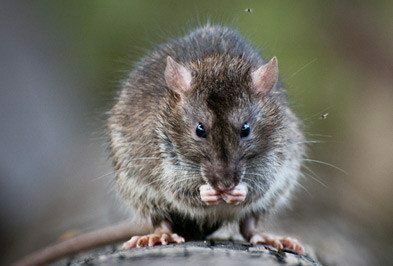 Norway rats gnaw objects, eat stored food and transmit disease by droppings and urine, bites and the fleas and mites in their fur. Rats are nocturnal and you generally will not see them in your home unless you have a very large infestation. If rats are in your home you will find large gnaw marks on food, utility lines and pipes, dry wall, furniture, and other objects. You will also see grease stains on walls and other objects as the rats move along them while traveling through your house. You may also hear them moving behind your walls, and you will find their droppings which will be approximately 18-20cm in size and blunt at both ends. How Do I Control Norway Rats? Rats are a large species of rodent that can be difficult and dangerous to try to control on your own. Rats are social rodents so if you find one living in your home there are more than likely many others living close by. Because of those reasons it is best get professional help to control rats in and around your home. For help with Norway rat control in your home contact Holder’s today, our EnviroGuard Program will provide you with safe, effective residential pest control services to get rid of Norway rats and other common household pests from your home. If you have a problem with rats in your home contact Holder’s Pest Solutions today. How Do You Prevent Norway Rats? In order to help prevent Norway rats from choosing your home to live in you should eliminate food and water sources located around your home. 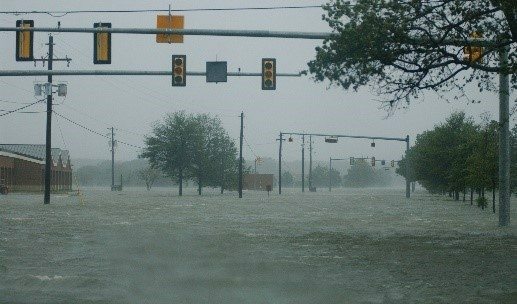 Make sure that trash cans have secure lids and are located away from the outside of your home, place garden areas a distance away from your home, and fix leaky outdoor faucets and other fixtures. You should also make sure to seal cracks and crevices in your home’s foundation, and spaces around utility entrances. Pet food should be removed from its original packaging and be placed in a plastic container with a tight fitting lid. Inside your home it is also helpful to keep food in sealed containers or in the refrigerator, and to clean up spills and crumbs as quickly as possible.